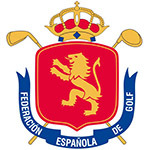 Despite a final-round 77 at Real Club de Golf Sotogrande in Sotogrande, Spain, Tom Sloman was able to hold onto his edge at the European Nations Cup, and squeak out a one-shot victory on two chasers. Though Sloman, and Englishman, set himself up with a nice lead through three rounds, his final round was the second-highest number among the top 10 on the board. Still, Sloman won the title at 6 over. Victor Pastor Rufian and Jannik De Bruyn made charges behind Sloman, but neither could quite catch him. The pair finished the tournament in a share of second, with 7-over totals. Caolan Rafferty was solo fourth. There is also a team component to this event, and led by Sloman’s strong week, England was able to finish on top. They finished a collective 14-over par for the week, edging Holland by eight shots. Ireland was third. Spain’s Marta Garcia Llorca won the women’s title in a playoff after finishing 72 holes at 13 over, tied with Elena Moosman. The team component was also close, with Holland and France finishing atop the leaderboard, each at 24 over. An international competition contested over 72 holes of stroke-play with a team and individual component. The international team format features four-man teams in which the three best scores each day count towards the team total.